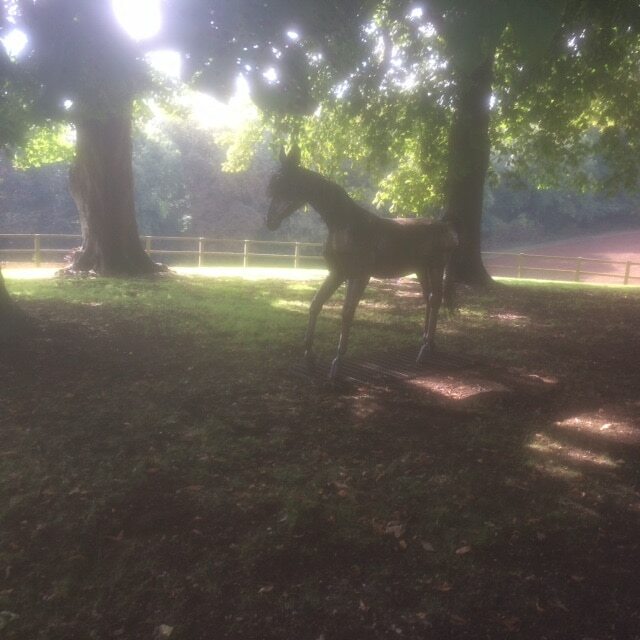 26From ‘horses’ in our last exhibition to to ‘trees’…the latter giving us the wonderful resource with which, as a company, we work …. Chis Townsend, celebrated tree artist and sculptor working in forged steel, having produced some special sculptures for our exhibition. 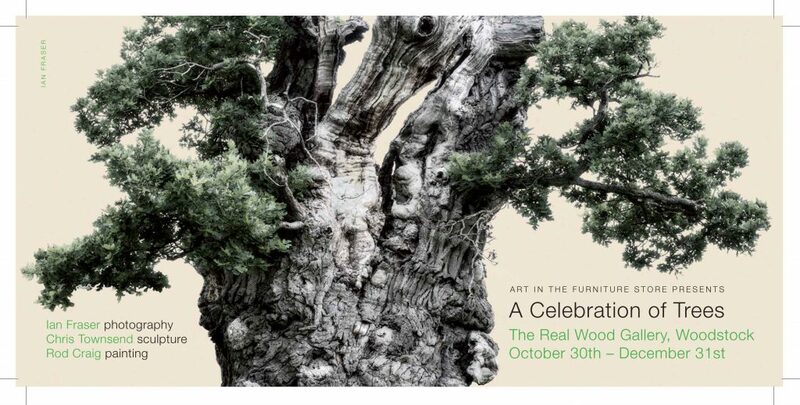 Add in to the mix at the preview party, the premier performance of a new piece of music from tp & woodman, aptly titled ‘In celebration of trees’ and it all adds up to a great multi media celebration focusing on the mighty English oak. 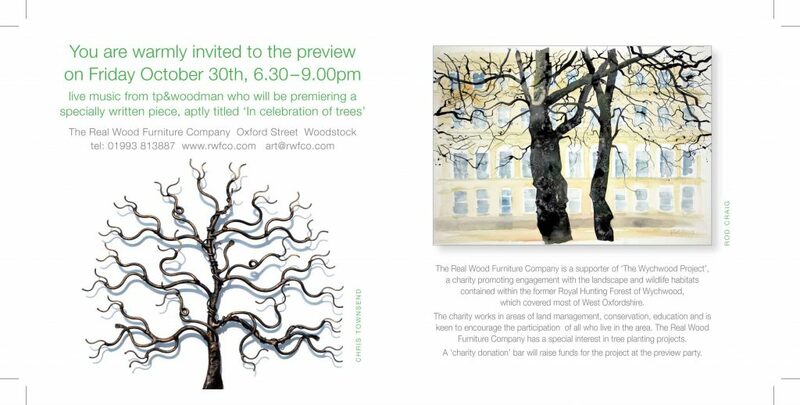 The Real Wood Furniture Company is a supporter of ‘The Wychwood Project‘, a charity promoting engagement with the landscape and wildlife habitats contained within the former Royal Hunting Forest of Wychwood, which covered most of West Oxfordshire. The charity works in areas of land management, conservation, education and is keen to encourage the participation of all who live in the area. The Real Wood Furniture Company has a special interest in tree planting projects. A ‘charity donation’ bar will raise funds for the project at the exhibition preview party. On the furniture front, work progresses on our new ‘T Cup’ range, but in the meantime we have ’soft launched’ a new chair. 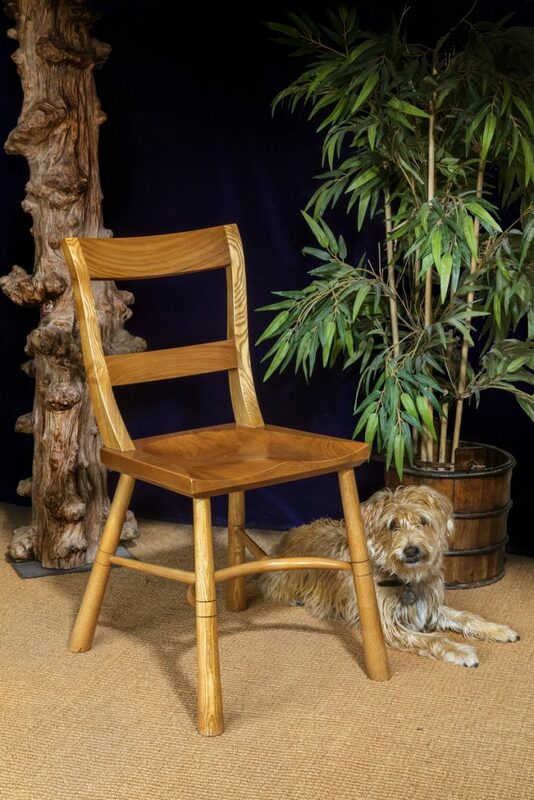 Our ‘Spires chair’ takes its inspiration from a ’scroll back’ design made famous by master chairmaker Stephen Hazell who worked in Oxford from 1846.The original design is attributed to William Wardell, who is recorded as working in Summertown from 1839. He probably trained Stephen Hazell.The simple ’scroll back’ chair in time came to be known as ‘The Oxford Chair’. Having literally handled thousands of antique ‘Oxford chairs’ over the years, my starting point of inspiration was to create a chair of similar simplicity, low in height but with a generous seat and offering good comfort with an over arching feel of the ‘contemporary’. We are making this with Scottish elm in the seat and back horizontal rails with other parts in English ash. We are about to make a second batch with English burr oak in the horizontal rails. As you can see from the photos, we are offering both a simple ‘H’ stretcher and a ‘crinoline’ or ‘cowhorn’ stretcher with angular shaped ‘torpedoes’ jointing the stretcher to the back legs. As ever with Windsor chairs, they are nothing if not an amalgam of their angles, so we have been through many prototypes and stages of ‘finessing’ the design. We have sold to two customers already within two weeks of the chair ‘hitting the floor’ with no promotion as such, so we hope that the design will have a wide appeal. The offer of wide plank Scottish elm has also afforded us the opportunity to look at table making with elm again. 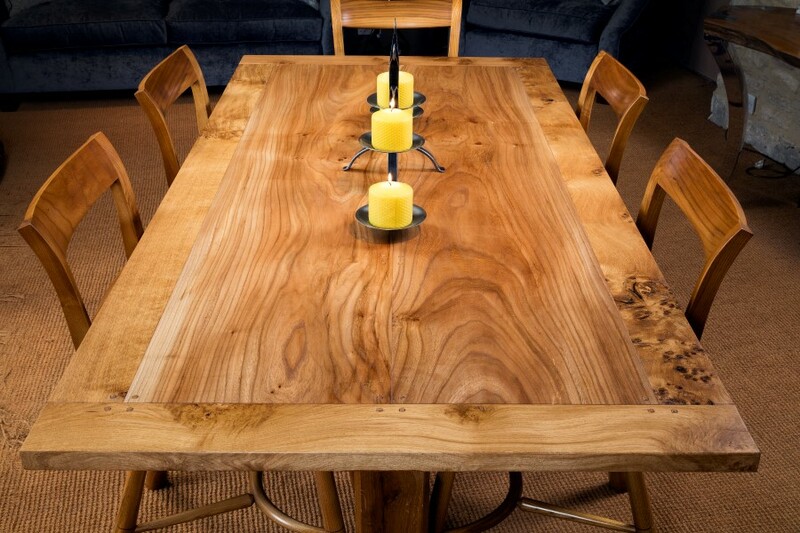 Our ‘Spires Pilgrim Table’ features 2 x wide planks of elm, flanked by narrower planks of English burr oak. By making the end ‘cleats’ the same width as the outer planks, we have created the illusion of a ‘paneled’ top without the inherent problems of shrinkage causing gaps to appear! Time to go for the moment….I shall return later with ’sparkle’ aided by a glass of red!